2016 10 28 STOP Ken!!!! Just one of the many times when both Louise and I shouted out to poor Ken "STOP"!! He would find somewhere to pull off the road to allow us to get our shots!! 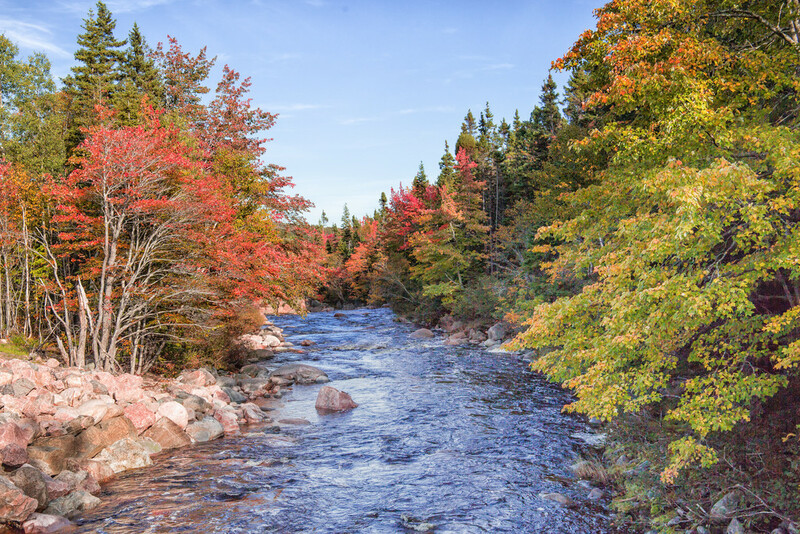 This is just one of the many little rivers you pass by on the Cabot Trail and with the Fall colours they are spectacular!! @weezilou - such beauty!! Ken was so understanding to get it in stereo!! Beautiful view Pam - Ken HAD to stop, didn't he?! @jamibann he's "very well trained" Issi! Clearly, many of our photo successes are owed to Patient Ken :) @pamknowler What a beautiful spot! I love seeing these again as I can recall it all so well! Yes, Ken surely knows that "command". So does my husband..... .my camera caddy, as he calls himself. Louise, Ken, John and I, and others have gone on photo shoots together here in southern CA. Oh my gosh this is so stunning!